The Golden Doodle was bred in the early 1990’s in an attempt to develop a guide dog for visually impaired individuals with allergies. 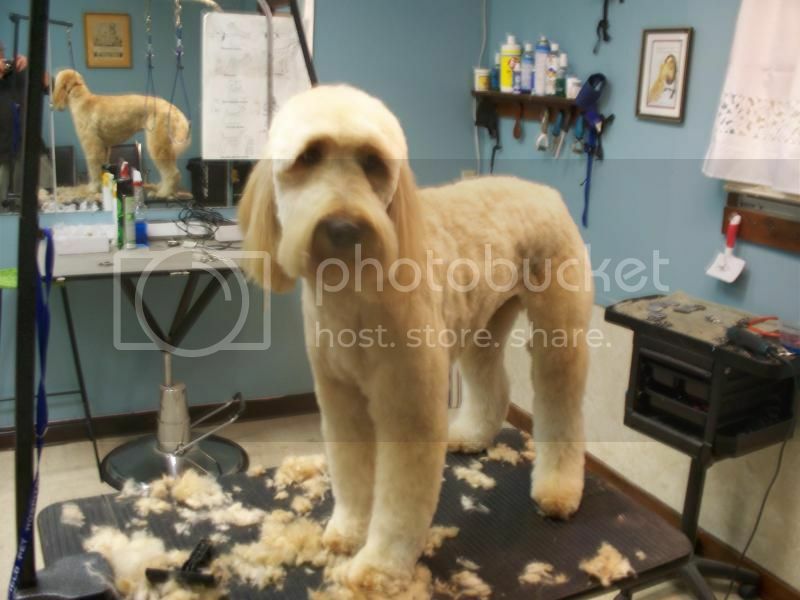 The Doodle is considered to shed less than most breeds and hence can cause less allergies. The Golden Doodles I have encounter have certainly received and displayed the wonderful disposition and temperament of the golden retriever. For owners who want an excellent companion that is friendly with other people and dogs, and like to walk a mile or so daily, the Golden Doodle is a great. The Golden Doodle may not shed much, and that can be desirable, but it leads to a considerable amount of grooming. Brushing is required at a minimum of once a week. There are two types of coats most dog breeds have in varying degrees; a primary coat which is coarse and fairly straight, and an undercoat with the texture of cotton. Unfortunately, the Golden Doodle’s coat is primarily undercoat and highly prone to matting. In order to prevent such matting, frequent grooming is a must. We have developed a grooming style for the Doodle, which we consider our style. 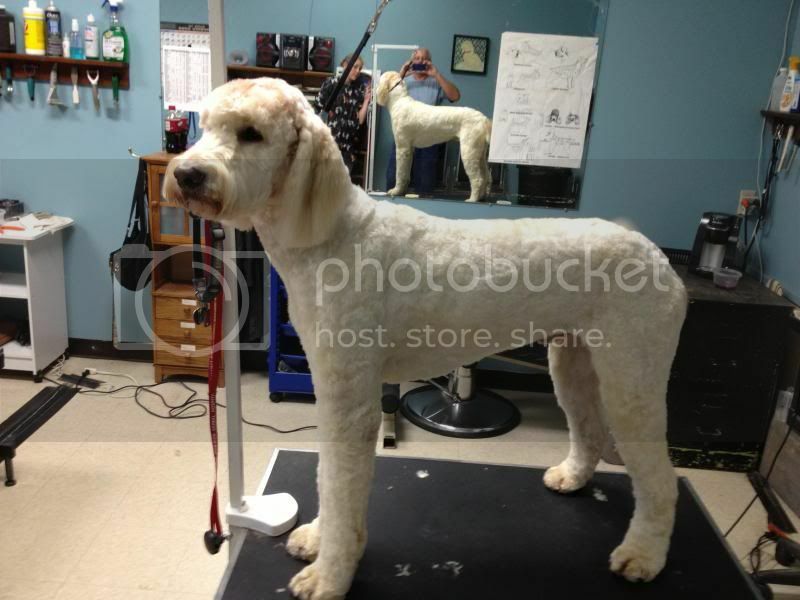 The body of the Doodle is clipped to a length which may vary from 1/4 to 1/2 inches – the decision is yours. The legs are scissored into cylinders and the paws are rounded. The tail can have some length scissored off if it is fairly long. The ears are left long and slightly trimmed. The beard is trimmed to length as required. The cheeks are the same length as the body and the top knot is scissored round and blended into the ears. Because of the density of the coat, we recommend a bath and brush every three to four weeks and a full grooming every six to eight weeks. This entry was posted on Thursday, September 11th, 2014 at 10:29 pm	and is filed under Breeds: As Related to Grooming. You can follow any responses to this entry through the RSS 2.0 feed. You can leave a response, or trackback from your own site.